You know what’s a little strange? Despite what may actually be an even worse offseason for free agents than last winter, there’s no talk about a free agent Spring Training this February, and there’s nothing out there about a potential holdout or other collective action, either. I suppose that’s a good thing, given the circumstances, but both options were written about almost daily around this time last year, and the Spring Training for free agents thing actually happened. Obviously, we all hope it doesn’t come to that, but I am surprised this stuff is not being tossed around again. The Miami Marlins have signed Curtis Granderson to a Minor League contract, wherein he can earn $1.75M (plus another $250K in incentives) if he makes the big league team. A Chicago-native and an elite clubhouse presence (if that’s a thing), Granderson has long been someone we hoped the Cubs would target in a veteran, supplementary outfield, minor league deal sort of way – especially because the dude can still swing it (116 wRC+ in 403 PAs last season). Alas, he’ll likely spend 2019 (at least, the first half) in Miami. According to Buster Olney, Jacoby Ellsbury’s best chance to actually play next season might force him to remain open to a trade to a team like the Giants, who apparently have some interest in a bad contract swap. According to Olney, the Giants are looking for a “center field safety net”, and Ellsbury has experience playing center (cough, so does Jason Heyward, cough). Among the “bad contract” swaps, Olney offers up Brandon Belt (no fit with the Cubs), Evan Longoria (no fit with the Cubs short of permanently moving Kris Bryant to the outfield), Jeff Samardzija (no fit with the Cubs unless he’s going back to the bullpen), and Johnny Cueto (no fit with the Cubs in 2019, when he won’t pitch anyway). MAYBE if Longoria could still hit a tiny bit, you could put him at third and push Bryant to the outfield, but then what would the Cubs be doing with the money they saved? No, if it’s going to happen with the Cubs, I think they’ll have to get a reliever in return and hope the Giants actually want Heyward (there are reasons they, specifically, might). Terrible: A California woman died in August as a result of being in the head by a batted ball at Dodger Stadium. According to ESPN, she was a mother of three and grandmother of seven. What a terrible story and good reminder of the importance of the extra netting MLB teams have added to their stadiums of their past couple years. Even then, the risks remain present. Baseball here in the States is at an extremely weird time in this respect. On the one hand, offense is doing just fine. There are tons of homers and a lot of runs scored. On the other hand, the league would like more action – a.k.a. balls in play (non-homers, non-strikeouts, non-walks) – and I’m not sure how this kind of change to the ball would affect that. We saw what happened when the ball was changed (we suspect) a few years ago, so it can obviously have a significant impact. Perhaps, if the ball was heavier and, thus, less likely to leave the yard, players would adjust away from the launch angle revolution. 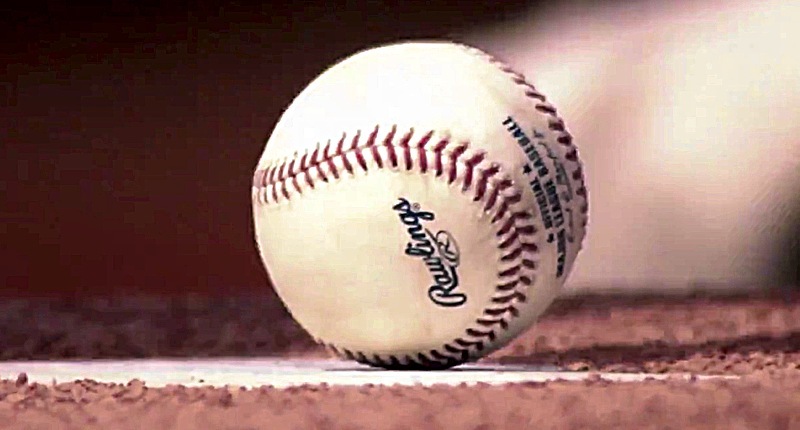 But if more balls in play was the goal, I’d prefer a change to the strike zone and/or lowering of the mound WAY before any changes to the ball, itself. The Pirates signed Francisco Liriano to a minor league deal, including an invite to big-league camp. I am not looking forward to his bounce back against only the Cubs. For some reason, it always felt like that guy just had the Cubs’ number, especially when he was with the Pirates. Speaking of the Pirates, you can check out their recently-released 2019 ZiPS projections right here. 2019 ZiPS Projctions – Pittsburgh #Pirates https://t.co/DqlYQ1v9wu #ZiPS19. On the offensive side of the ball, Starling Marte (3.7 WAR) and Corey Dickerson (3.0 WAR) lead the way, while Chris Archer (3.4 WAR) and Jameson Taillon (3.4 WAR) lead the starting rotation. There’s certainly a foundation there for a good team, but with a tough (and getting tougher) NL Central ahead of them, you wonder if they’ll have enough around the diamond to pull off a surprise. Do you remember when we learned about that new all-encompassing offensive statistic called Deserved Runs Created plus (DRC+)? If not, basically just think of it as one single number – that includes park factors – to measure how much fundamentally better or worse a player is than the league average (always an even 100). It’s basically Baseball Prospectus’s attempt at an improved version of wRC+. Well, we’re only a couple months removed from its inception, and BP has wisely listened to some concerns over the new number and has made some adjustments. You can read all about it here.